CAN WE HELP YOU FIND YOUR FILTERS? 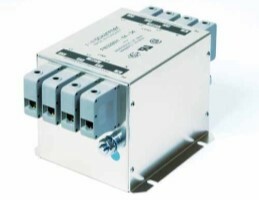 The single stage circuit is ideal for general applications such as office, medical, telecom or IT equipment, power supplies, DC/DC converters, industrial applications and many more applications. 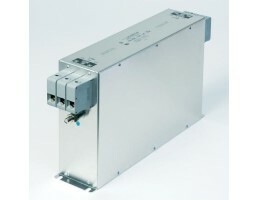 SVG does not use AC capacitor banks so it does not have the reliability issues & ongoing costs associated with these. At just 48kg, the 100kVAr Sinexcel SVG wall mounted unit is the most compact power factor correction solution in the world. Wall mounted solutions free up valuable switch room floor space. By balancing the load across all three phases, the SVG reduces the peak current which in turn reduces the peak demand tariff (electricity bills) and the load on the switchboard. The SVG provides compensation instantaneously in real-time to each phase individually with no possibility of over-compensation or under-compensation. 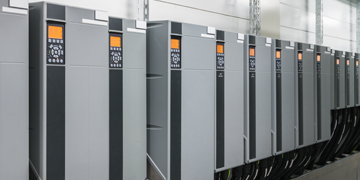 Fuseco offers solutions to VSD manufacturers & users, including elevators, HVAC, material handling & hosting, oil & gas and water/waste water treatment. 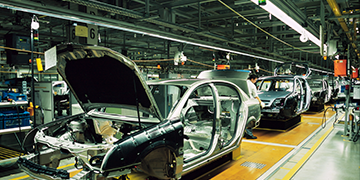 In factory automation environments, all systems need to integrate into a process flow. Fuseco have expertise in providing RFI filtering solutions. Fuseco offers global OEM pricing & compelling ROI. 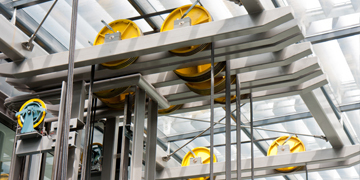 New PFC technology offers multiple opportunities to reduce costs. Fuseco supply RFI filters that operate in power supply applications, including communication, lighting, medical and industrial devices. RFI filtering is required in modern building projects, including data centers, hospitals, train stations, office buildings, hotels, casinos & theme parks. 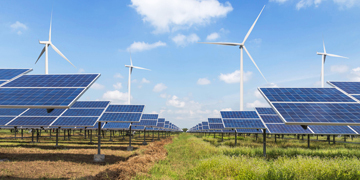 Fuseco is a leading specialist in RFI filter application for renewable technologies, including energy storage, PV and wind power. Electromagnetic interference (or EMI, also called radio frequency interference or RFI) is a disturbance that affects an electrical circuit due to either electromagnetic conduction or electromagnetic radiation emitted from an external source. The disturbance may interrupt, obstruct, or otherwise degrade or limit the effective performance of the circuit. The source may be any object, artificial or natural, that carries rapidly changing electrical currents, such as an electrical circuit or the Sun. Have you ever wondered why the interference that you receive on the radio communications bands can sometimes disrupt the intended signals? Interference probability is based on the potential power transfer densities involved due to the proximity of equipment and antenna systems; the various transfer mechanisms, and equipment performance. The electromagnetic transfer mechanisms may vary depending on modes of operation, propagation conditions, and other variables. The propagation paths that exist for signal transfer from the transmitters to a receiver within the RF environment of a radio communications band can be numerous. Antenna-to-antenna coupling parameters may vary depending on antenna gain, directivity, beam width, side lobes, polarization, separation, propagation conditions of the path (path loss), etc. The receiver characteristics which influence performance include noise, dynamic range, sensitivity, selectivity (RF, IF), desensitization, adjacent signal susceptibility, intermodulation, cross modulation and spurious response susceptibility. Is there a difference between EMI and RFI? The terms EMI and RFI are often used interchangeably. EMI is actually any frequency of electrical noise, whereas RFI is a specific subset of electrical noise on the EMI spectrum. There are two types of EMI. Conducted EMI is unwanted high frequencies that ride on the AC wave form. Radiated EMI is similar to an unwanted radio broadcast being emitted from the power lines. There are many pieces of equipment that can generate EMI, variable frequency drives included. In the case of variable frequency drives, the electrical noise produced is primarily contained in the switching edges of the PWM controller. As the technology of drives evolves, switching frequencies increase. 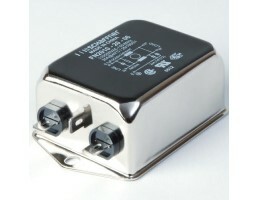 These increases also increase the effective edge frequencies produced, thereby increasing the amount of electrical noise. How do I know if I have RFI in my electrical system? If you are occasionally experiencing interference with your telephone system, flickering computer monitors, reliability issues with computer networks, instrumentation errors, or misbehaving electronics you are most likely experiencing RFI in your electrical environment. RFI can wreak havoc with your electronics, computers and telephones, making your workplace difficult to work in. 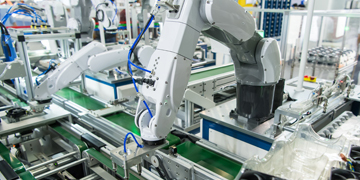 Since most machines have control electronic circuits, they may become difficult to control or unreliable. RFI The disturbance may interrupt, obstruct, degrade or limit the effective performance of the circuit. EMC (Electromagnetic Compatibility) means nothing more than “an electronic or electrical product shall work as intended in its environment. The electronic or electrical product shall not generate electromagnetic disturbances, which may influence other products”. In other words, EMC deals with problems of noise emission as well as noise immunity of electronic and electrical products and systems. Electromagnetic disturbances occur as conducted interference as well as radiated emissions and immunity problems. Since switching to Fuseco as our supplier of Schaffner RFI/EMC filters, our experience has been very positive. My expectations are that we will receive exactly what we ordered, on time every time without exception. Fuseco's service gives me peace of mind. After extensive quality testing, we chose the Schaffner RFI filters as the best solution for our compliance requirements. Fuseco provides industry leading consistency of supply and great response & flexibility to changes in our delivery schedule. The Fuseco team are a pleasure to deal with.